Over the course of last 5 years we found that a PBN is the secret key to ranking high on the most competitive keywords in our niche. And we want to help you rank high on any keyword you desire. By helping you, we're going to get helped ourselves. All content on the sites is created using PAID ARTICLE FORGE! Forget Spinned Content! All the work is done manually without using any software or robots! Included Images in each post! You will received full report after work is done! 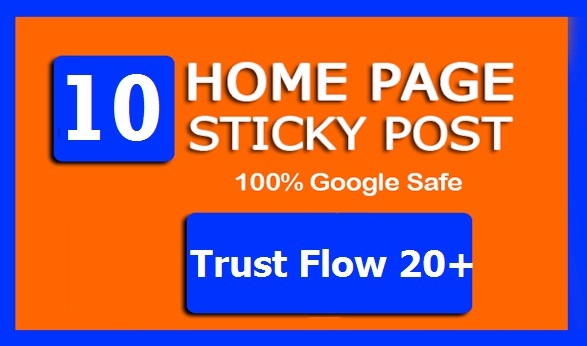 20 High TF CF Permanent HOMEPAGE STICKY PBN Links is ranked 5 out of 5. Based on 1 user reviews.